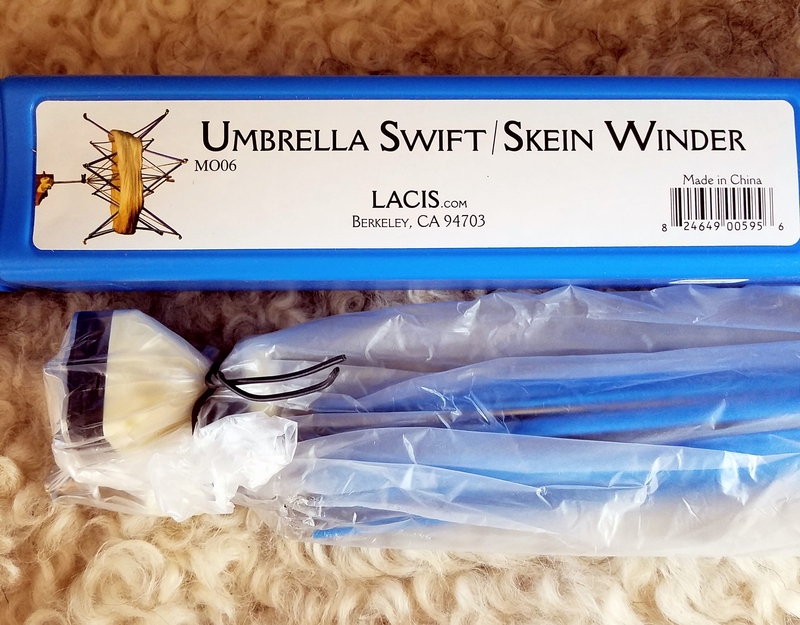 LACIS-Umbrella Swift Yarn Winder is made of durable plastic. The purpose of this tool is for supporting skeins of yarns of various sizes while winding and making balls of yarn. A smoothly operating metal swift with flexible covered ribs for the finest of threads this swift features: one hand adjustment for skeins up to 60", integral handle that permits use as a winder, adjustable table clamp permitting vertical, horizontal or angled operation. Imported. If you have any questions please contact Dakota Carding and Wool Co.